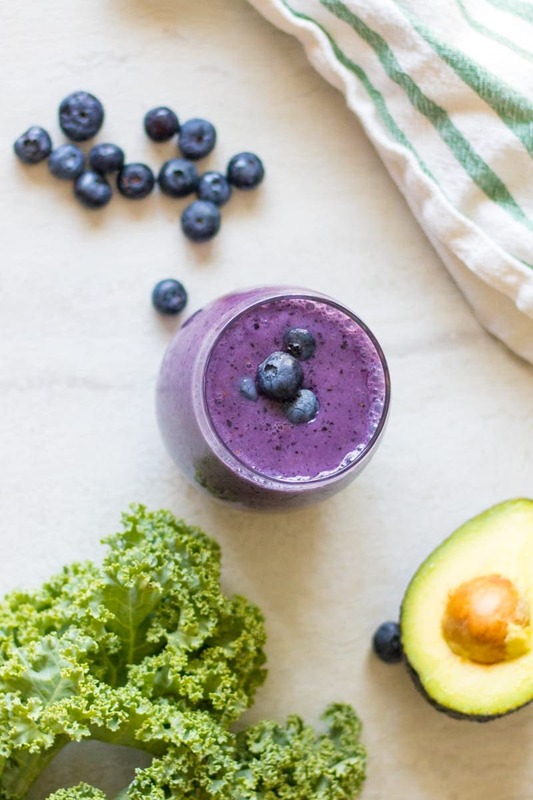 Blueberry Smoothie: A blueberry smoothie made with avocado and kale is full of calcium, protein, antioxidants, healthy fats and fruits and veggies.Whether you tell anyone that their are veggies in this smoothie is up to you, your secret is safe with me. We have a love affair with smoothies in our house. Maybe because they feel a bit like an indulgent milkshake, or because they cool us down in the humid southern air, or because they are an easy treat to whip up after a long day at school or make the perfect recovery snack after a workout? Whatever the reason the whole family digs smoothies–from Pina Colada Smoothies, to Cherry Smoothies, to Mango Smoothies. 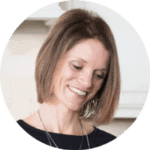 This Mom loves a good smoothie recipe because smoothies are fabulous vehicles for sneaking in some nutrition. Need extra protein? How about some nuts or cottage cheese? Healthy Fats? Flax seed or avocado to the rescue. Low on your intake of fruits and vegetables? Throw whatever you have in the blender and check off a few of your daily requirements with ease. And that is exactly what I did when I created this Blueberry Avocado Smoothie. I added tons of nutrient dense foods, making a luscious, yet Healthy Blueberry Smoothie. But making a healthy smoothie only works if it tastes good and the kids approve. The verdict on this Blueberry Smoothie with Kale? My son’s exact words were, This tastes like blueberry pie! I take that as a win. To make any smoothie you need to start with liquid. For my Blueberry Banana Smoothie I use milk to make this Blueberry Smoothie creamy. 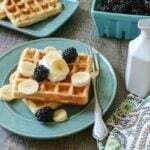 You can use any type of milk you like–whole milk, almond milk, coconut milk, etc. The next thing you need to think about when making a healthy smoothie is adding in ingredients that pack a nutritional punch. Blueberries–fresh of frozen. Blueberries are a great source of fiber and antioxidants. Banana–fresh or frozen. Bananas make this smoothie sweet naturally and also add potassium. Avocado–Avocados are a source of healthy fats and fiber and they also make this smoothie incredibly creamy. Kale–a powerhouse when it comes to nutrients and fiber, I love to use fresh or frozen chopped smoothies. Use any variety of milk. If you choose almond, coconut, or soy you will have a Vegan Blueberry Smoothie. Fresh or frozen chopped kale can be used in this smoothie recipe, just be sure to remove the hard stem of the kale if using fresh kale. Feel free to replace the kale with spinach. Fresh or frozen blueberries can be used in this smoothie as well. Fresh of frozen bananas can be used in this Blueberry Banana Smoothie. If you choose to use all frozen produce, you may need to add an additional 1/4-1/2 cup liquid to incorporate the ingredients well. 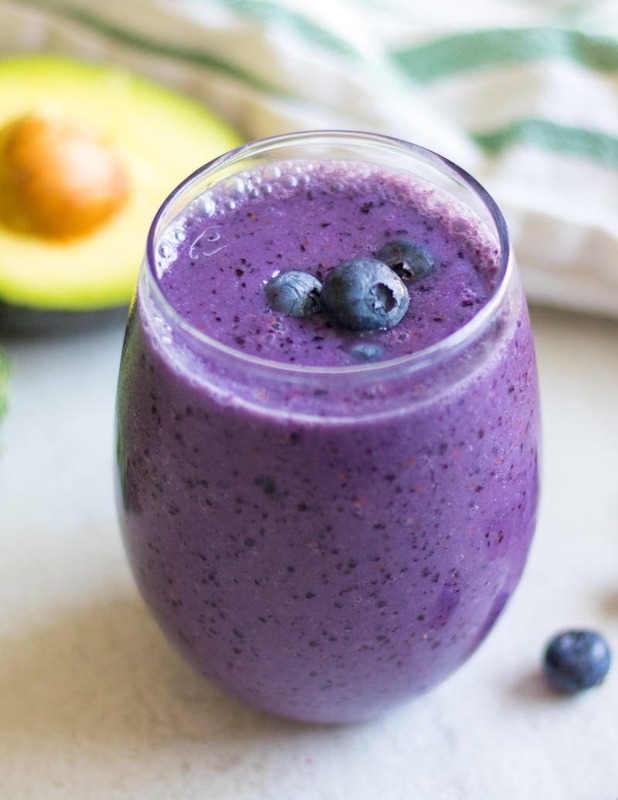 An easy blueberry smoothie with bananas, avocado and kale. Blend the milk, kale, and avocado together until well combined. Add the remaining ingredients and blend again until smooth. Wow, this is packed with hidden veggies! Blueberries are the perfect sweet fruit to mask any tastes though! Wonderful smoothie! Really? There’s broccoli in there?! Awesome. I’ll bet the avocado makes everything really creamy! Love this beautiful smoothie Kristen. Amazing that broccoli can hide so well. Definitely trying this! This is awesome! I’m definitely going to have to try it with my son! He used to love eating veggies and now it’s like pulling teeth to get him to eat them. This smoothie looks delicious! 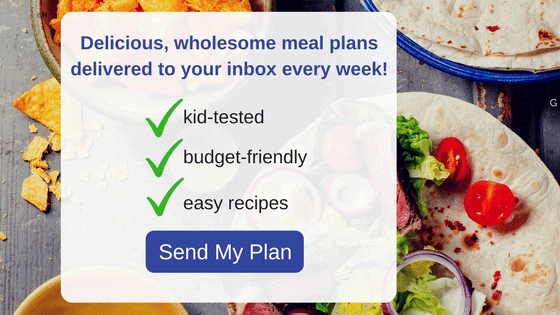 This will be a great way to get your son some extra veggies while he is going through his picky stage and hang in there–it will pass. We love smoothies here too, and I just love blueberry. I need to try this one. I love that it has hidden veggies. You will love it–blueberry is such a winner. We love smoothies too! Love all the hidden veggies in this one! Thanks Joceyln, smoothies are a great way to sneak them in! I would have never thought to use broccoli! Neither would I to be honest, was happy ALDI inspired me. I love that there is broccoli in this blueberry smoothie, I will have to try this! Hope you love it Joy! I am loving all the hidden veggies in this smoothie! yum! Adds so much nutrition to a tasty shake! I hope she loves it Kita. Everything was TOTALLY fabulous in Chicago! Awesome hidden veggies! My daughter and I love smoothies, we are going to have to try yours. Yess. We are loving smoothies over here too! I am always looking for new smoothie recipes and I happen to have a ton of blueberries in my fridge waiting to be used! Lauren is loving my smoothies with Greek yogurt, strawberries and bananas. She doesn’t like blueberries or the blueberry / strawberry blend. Would the strawberries hide the broccoli or do you have another veggie I can sub with Strawberries and bananas? Can’t wait to try your recipe. Oh how i love a good smoothie recipe!! Can’t wait to try this!